In Lesson One we learned that God is the Creator of all things—the universe and everything in the universe. He created all living creatures—the birds, fish, and animals—and gave them the ability to reproduce themselves according to a fixed principle, "after his kind." 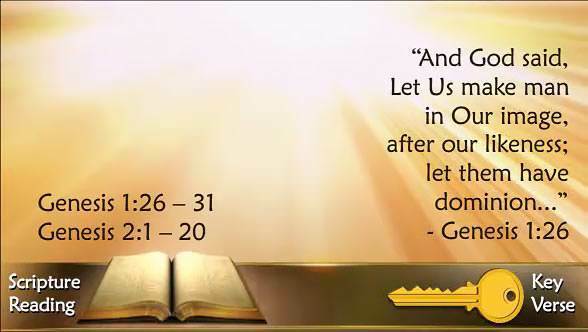 This phrase "after his kind" is repeated eight times in the first chapter of Genesis. This meant that every living creature could produce creatures like itself and only like itself. No animal could change into a different kind of animal. This principle is just as true today as it was then. Every living creature produces offspring like itself. What was God's most wonderful creation? God's most wonderful creation was man. Man did not come up from lower forms of animal life. God created him. This first man He called Adam. Since Adam was the first man and thus the head of the whole human race, it is important that we know what Adam was like. Adam was formed with three main parts: body, soul, and spirit. The body is the outer part of man which can be seen. The soul is the inner part of man which cannot be seen. 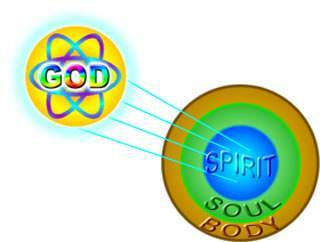 The spirit is the innermost part of man by which he can commune with God. We are going to consider each of these three parts of man. 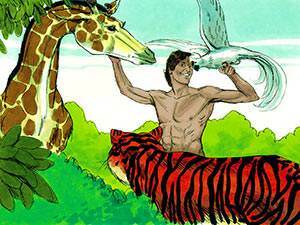 Adam's home was to be the earth, and God made a body for Adam out of the earth. The Bible says, "The first man is of the earth, earthy…" With his body man can see, hear, touch, taste and smell. Thus he has contact with the world around him. 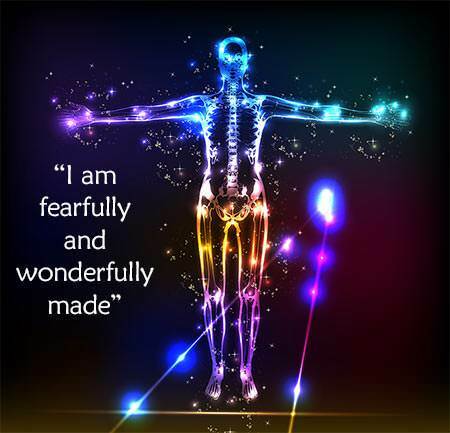 The body which God created for man is truly amazing. It is really a combination of many marvels. God made the human ear somewhat like a grand piano except that it is a million times smaller and has 100 times as many "strings." These nerves enable the ear to distinguish between thousands of sounds. How tiny is the hearing mechanism, and yet how perfect! God created the human eye so that it is more remarkable than any camera ever made. It has been called "the wonder of wonders." God made the heart of man so that it could beat 100,000 times a day and work a lifetime without requiring replacement. God made the brain of man so that it could do what tons and tons of complicated computers cannot do. 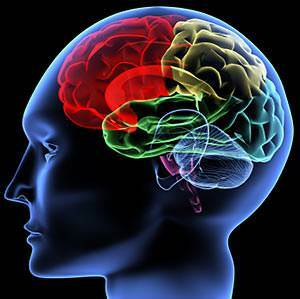 The human brain contains more nerve lines than all the telephone lines of the world put together, and yet it weighs less than three pounds! We can see the body of a person, but we cannot see his soul. Of what, then, does the soul consist? 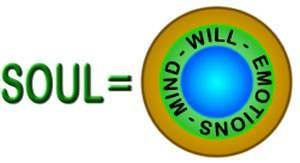 The soul of man consists of three parts: the mind, the emotions, and the will. With his mind, Adam could think. With his emotions, he could love. And with his will, he could choose. Because he could think, love, and choose, Adam was a living soul. Adam had a mind: he could think. Adam had emotions: he could love. As a Person, God loves and expresses His love. 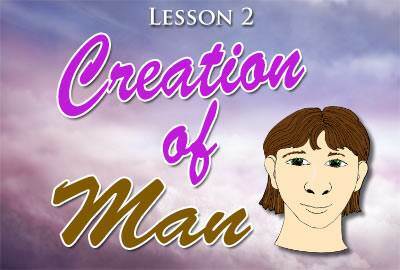 God created Adam with an emotional nature so that he too could love and express his love. From the Bible, we know that God is capable of other emotions also. For example, He hates sin. Adam too was given the power to hate that which was wrong. Adam had a will: he could choose. God has a free will, and Adam was like God in that he too had a free will. He had the power to choose what he would do. He could choose to obey God, or he could choose to disobey God. Since he was free to choose what he would do, Adam was responsible for his choices. He could not say that anyone had forced him to act against his will. 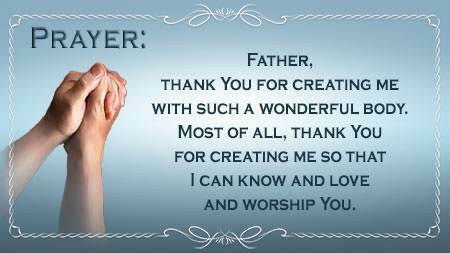 God wanted Adam to be able to know Him, to worship Him, and to commune with Him; so God created Adam with a spirit. 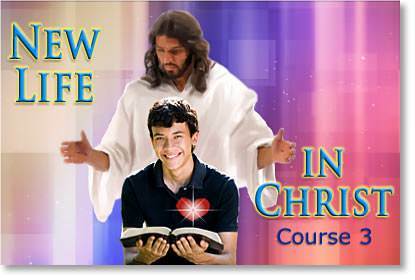 The spirit is that part of man which can know God and receive His life. 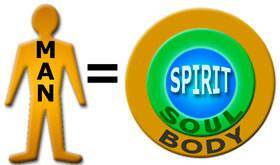 Man's spirit was created so that God would have a place to dwell in man. We can think of the spirit as a room deep inside of man, a room intended only for God's Spirit. Because God made man with a spirit, God's Spirit can dwell in man. Remember that God created man for His glory. The only way that man can glorify God is by having God's Spirit dwelling in him and controlling him. This is why God made Adam with a spirit. God wanted Adam to receive His life and to be controlled by His Spirit. Apart from this, Adam would never be able to fulfill God's purpose. 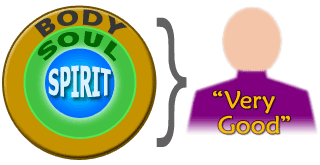 God said Adam was "Very good"
We have seen that God created Adam with three main parts: a body, a soul, and a spirit. 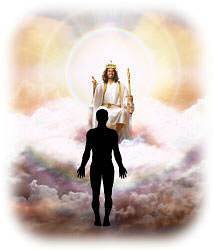 As he came forth from the hand of Almighty God, Adam was perfect and complete in all three areas. The sinless Adam stood before his Creator, and God pronounced him "very good." Each one of us must choose for himself whether he will believe man's theories concerning the origin of man or whether he will believe what God has revealed in His Word. 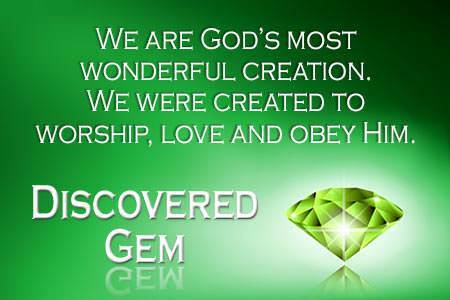 We were created to glorify God. God always has a purpose in doing whatever He does, and He had a purpose in creating man. God created man for His glory. In Isaiah 43:7, God says concerning man, "I have created him for My glory." We are here to glorify God, to worship Him, to love Him, and to have fellowship with Him. Because Adam was given a free will, he was responsible for his choices. 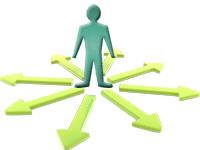 Each of us has been given a free will, and we, too, are responsible for our choices. One day, every human being who has ever lived will have to stand before his Creator and give an account of his life.